Today I went over to my friend's house, and his dad used to play in the Majors and Alex Rodriguez gave him a never used PRO6HF with Alex Rodriguez in black, fastback, all tan, grey welting, Made in the U.S.A. on the palm, and I think it had a 3 dot code, I wish I had taken picture of it. When I put it on my hand it felt amazing and I couldn't shut it will all of my force it was so stiff! Doc, do you think you made this glove? Next time I go over I will take pics and post them. I found these on a Japanese site. It says 2005 order only; they were probably sold there because it has price tags. Yes I probably did. You would be suprised what a dose of hot water would do right before playing I like to pour some on the inside and as soon as possible put my hand in it and form it to my hand by playing catch or even a game. On the out side I run hot water in the catching area at the same time taking care to not soak the heel and little finger thick pads. All this done and I'm ready to put it up for the day press all wrinkles if any out of the palm and ease your hand out lay it down and tomorrow lite coat of oil inside and out. Water a one or 2 times deal only as not good for leather. You can't imagine how good even the hardest glove when treated with hot water. On the same note Ryan Sandberg wet his before each game, but of couse the catching area rotted out by the end of the season. Doc, would this be safe to do with a pro preferred? His wiki article has some pics where you can get a good look at the RV23. Those weren't there the last time I checked the article though that was ages ago. 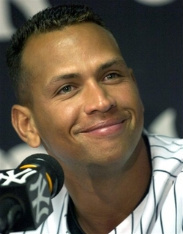 does anyone know what glove a-rod used when he played shortstop ? Last edited by rproulx86 on Sun Apr 24, 2011 1:05 pm, edited 1 time in total.